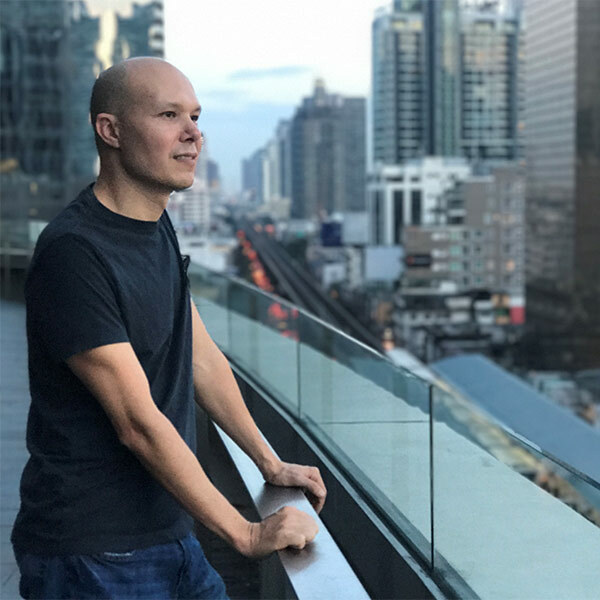 Christopher was first exposed to meditation through his grandmother, who is a devout Buddhist from Vietnam, and helped raise him from a young age. He established a daily practice and has been a student of Shinzen Young since May 2015, when he attended his first one week silent retreat led by Shinzen in Southern California. Born with a rare genetic condition known as Dominant Optic Atrophy, Christopher has been legally blind since birth. Despite his disability, he has led an extraordinary life, having obtained degrees from UC Berkeley and UC Davis, as well as living abroad in Vietnam for almost ten years. He has completed 10 weeks of meditation retreats, with teachers including Shinzen, Dan Brown, and Jon Kabat-Zin. Because of his condition, he brings a unique perspective to Mindfulness Practices, especially for people with vision impairments or other disabilities. Christopher’s professional background and expertise is in the integration of Mindfulness Practices into the domains of leadership, innovation, and entrepreneurship. He has started five businesses of his own, as well as advised, mentored, and invested in many other entrepreneurs over the last two decades. Through these experiences, he has developed a “collaborative ecosystem” approach for co-creating new ventures for social change, based on principles such as user-centered design, effectuation, systems thinking, disruptive innovation, and gift economics. Chris currently splits his time between California and Hawai’i, and travels with his yellow Labrador guide dog, Tia. They are both passionate about, and diligently strive towards realizing a more peaceful and compassionate world.